Howard Johnson Express Inn San Diego is located close to Sea World and the San Diego Zoo, in the heart of Mission Valley in Hotel Circle. 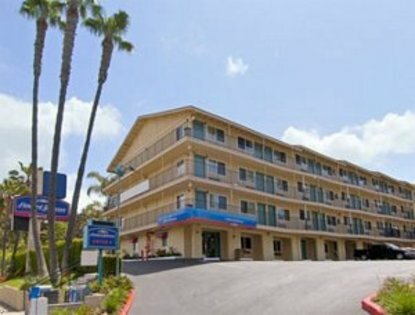 Howard Johnson Express Inn San Diego is only few minutes away from the San Diego Airport, Balboa Park, Qualcomm Stadium, Petco Park and the beach. At the Howard Johnson Express Inn San Diego we strive to offer our guests a home away from home with a Deluxe Continental Breakfast, Free High Speed Wireless Internet and Cable TV with over 70 channels including 5 HBO channels and Showtime.